This modern race chair provides stylish comfort and support. Lumbar feature supports your lower back and enhances the natural curve of your spine. Adjustable armrests help reduce strain on the shoulders. Kick back in this modern chair with slopped armrests and a single pedestal base which underscores the simple design elements that make this chair a must have. The glossy white frame forms a beautiful curvature around the back and through the arms in a seamless line both elegant and ergonomic. The seat is finished in a firm and supportive cushion upholstered in a smooth, easy to clean bonded leather. 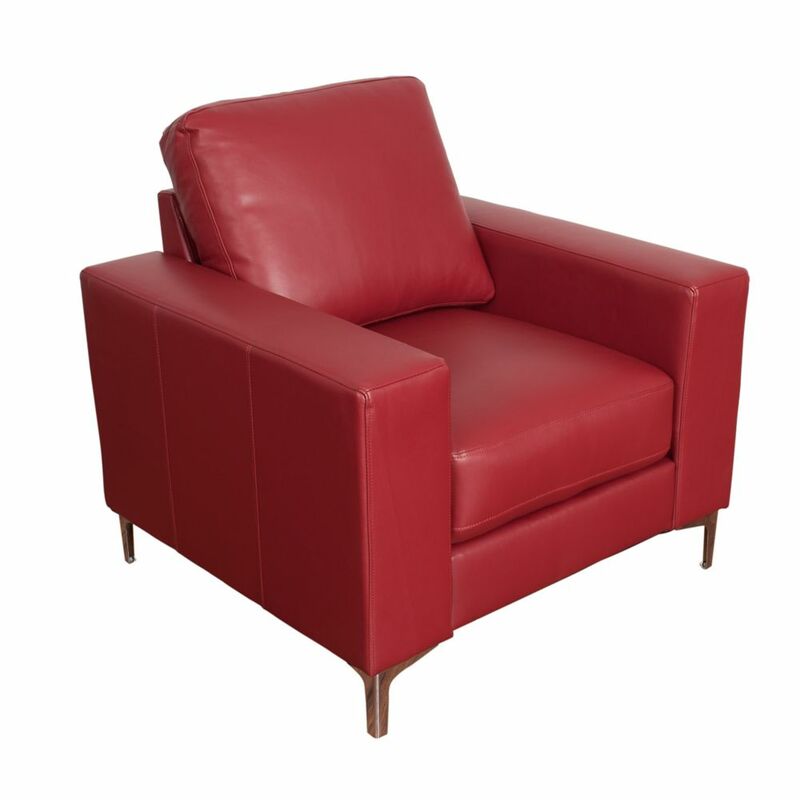 Cory Contemporary Red Bonded Leather Chair This contemporary chair from CorLiving celebrates style and comfort in a modern design. This finely upholstered chair delivers reliability through the durably crafted wood frame. Generous foam and fibre batting cushion provides the ultimate in comfort. The contemporary metal legs gives the chair grounded stability and the padded, slightly angled backrest makes it a treat to lean back and relax in style. The removable backrest allows this chair to be more easily moved through door frames.